Let’s get this out of the way early. Please understand that I have had absolutely no formal training with typography, and have no idea if I’m using the correct terms. I truly have no idea what I’m talking about, I’m just trying to express my thoughts and diversify my writing subjects and repertoire. Helvetica is without doubt the most well-known and widely-used font in recent history. 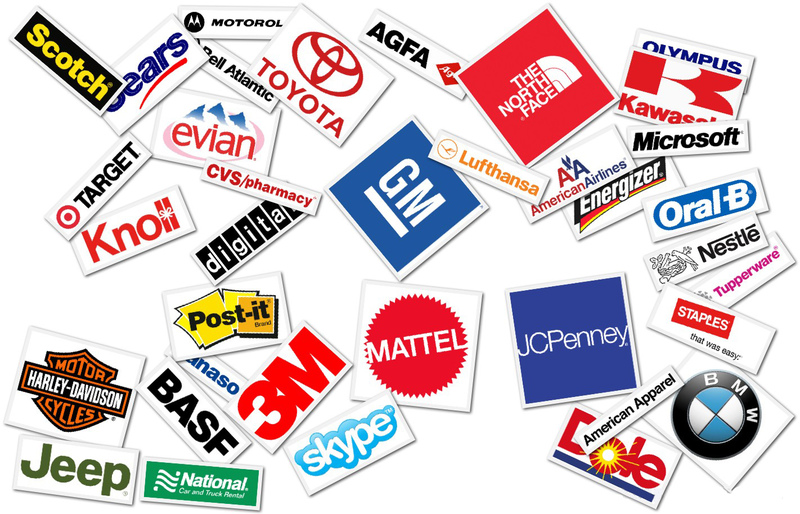 Helvetica is the font used in many familiar corporate logos, such as Microsoft, GM, American Airlines, BMW, 3M… the list goes on. Why this font though? What about it makes it so popular, especially with corporations? It’s by no means a new font… it was designed in the late 1950’s. The design of Helvetica is one of those things that is intangible. It’s hard to use words to describe the font itself. I would describe it as modern, simple, and clean. But it also has a sort of high-end coffee shop, utilitarian, expensive girlfriend feel to it. Perhaps it’s the lack of serifs. Maybe it’s the way the lowercase h has a kind of unexpected narrowing at the beginning point of the ascender. Whatever it is, it’s made a huge impact on the way things we see every day. The original purpose of this font was to be easily readable at a distance, to have a wide range of uses, and to have no inherent meaning. That is, you could write “I love you” in Helvetica, and it would communicate the sentiment just as well as if the words “My dog is dead” would. The font was designed after the Second World War, a time where the world breathed a sigh of relief, and looked to rebuild and rejuvenate their minds and culture. The typefaces of the previous decade were gaudy and ostentatious, with flashy serifs flying about everywhere, and obnoxiously wide widths. I absolutely love the unevenness of the lines in the ㅁ character. It makes it seem as though a human wrote the characters, with differing pressure along each stroke, the way we all write. Now, to those who aren’t used to seeing Korean characters, this might look cool to you. The funky angles of the serifs, the way the lines don’t quite line up in the ㄹ glyph, the widely varying thickness of each stroke. Call me a minimalist, but I find the Helvetica shot to be much more appealing and easier to read. Edit: Looks like this may be a Mac OS system default typeface for Korean script when the typeface in question doesn’t support Korean. This is getting a bit long. I’ll finish here. Just remember this typeface as you’re walking down the street. I see it used in everything, ranging from bathroom signs, to company logos, to street signs. Helvetica is truly a testament to minimalism and simplicity, which are two things I hold very dear. I’ve created this blog to detail my thoughts on communication. I don’t mean just language, but design communication, including how a product tells us what its use is, how a font can (or can’t) tell a story. At the same time. I will try my best (within WordPress’ stupid limitations) to make this site as minimalist as possible, while striving to make it an extension of my own mind. Imagine that… the word minimalist in the same sentence that describes my mind. This was inspired by watching two films: Helvetica and Objectified. I’ve always been interested in design, but watching these two movies really got me thinking. I was teaching one day, and I glanced over at my student’s pencil case. There it was. The most perfect mechanical pencil I’ve ever seen. It had a nice-sized barrel; not too thick, not too thin. Brushed aluminum. One button at the top. A polished aluminum clip. The angle that the barrel moved down towards the tip was almost angelic. For the next few days, I was haunted by this mechanical pencil. I even offered him $10 for it. It was in my dreams, and I noticed myself thinking about it more and more as the days went by. I thought to myself “This is either a really weird infatuation I’ve got with this pen, or it’s an epiphany.” I’ve decided to see if this is an epiphany or not, and start this blog to detail my thoughts on design communication, if that’s what it’s called. I’ve never been trained in design in any way. I’m a graduate of the psychology program at my local university. But one thing I’ve always loved is simplicity in design. This is my site where I will explore my interests without an overall theme. Here I will post my views on the world, on popular culture, on philosophy, design, typography, and the world in general. Keep your eyes glued here for updates from the back (and front) of my mind.